The day started with Sri Swami Vishwananda blessing the soon-to-be new ashram. 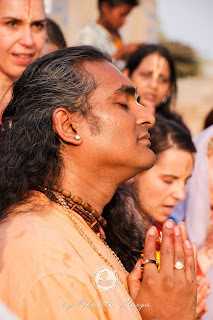 It was the first time Guruji had performed a puja in the ashram grounds and it was specifically done for Mother Earth (Bhumi Devi Puja). It was a very special moment for Swamini and all the bramacharinis living there. 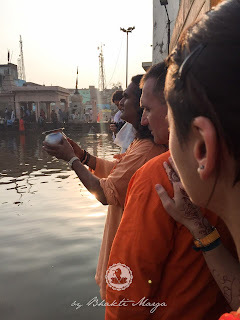 After the puja, the group visited Radha Kund and Shyama Kund where Guruji performed abhishekam to Giridhari. 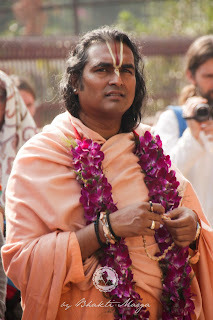 The group then went to the ancient palace and samadhi place of King Jajarshri Vanamali Rai who was the father of Radha Vinodhini (remember the cute story of her relationship with Thakur the day before). 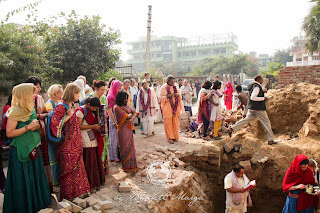 The group also performed parikrama around the two kunds and visted the place where Chaitanya Mahaprabhu used to stay when he came and found the two kunds before anyone knew of their existence. 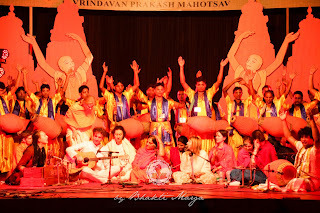 In the evening, the group was invited for an event at Fogla Ashram. The event was held to celebrate the 500 year anniversary of Chaitanya Mahaprabhu visiting Vrindavan. It was filled with lots of music and good Indian food. The evening celebrations were a great way to end another phenomenal day spent with Sri Swami Vishwananda, filled with lots of laughter and love. According to Hindu tradition once must always perform Bhumi Devi Puja in honor of the Divine Mother before starting construction. It symbolises the act of asking permission from Mother Earth (Bhumi) to build on her. Through the prayer, we are not only seeking permission, but we are also asking for forgiveness from Mother Earth for causing her harm in order to construct the building. When Krishna slayed a demon in the form of a bull, Radha “worried” about the karma associated with killing the animal (which is normally very sacred to Hindus), and asked Krishna to wash His sins by taking dips in various holy rivers. 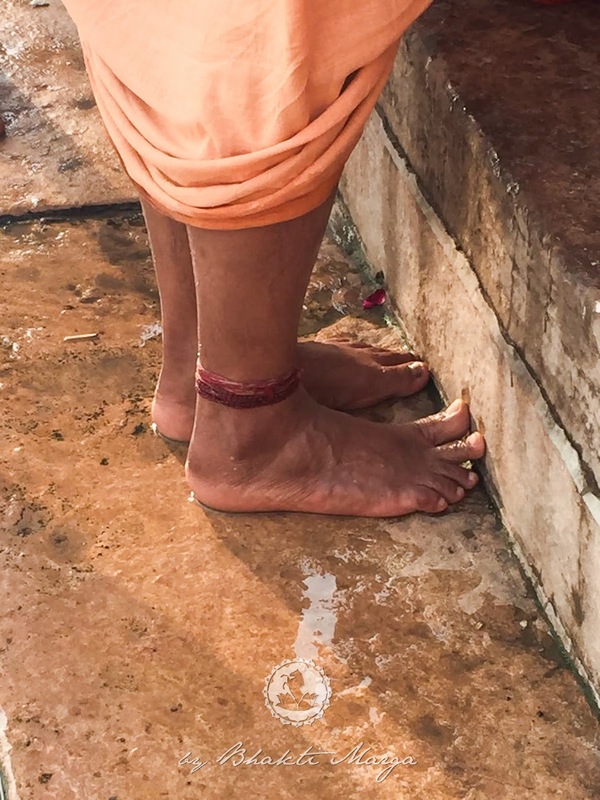 Krishna, amused by Radha’s naivete, simply struck the ground with His foot, whereupon a mighty river came gushing out and formed into a kund (a small water body). In this place, Krishna took a dip to please Radha. After Radha Kund was filled with holy water, Krishna told Radha that He would bathe daily in Her kund. He declared that Radha Kund was as dear to Him as Radha Herself, and anyone who bathes in it will receive Her love. Radha Kund is the personified Love of Srimati Radharani.